Obtenez la vue. Obtenez la piscine. Obtenez la sérénité. Obtenez la beauté qui est St. Croix! Lovely Two Bedroom, 2-1 / 2 salles de bain, parfait pour les jeunes mariés, les couples ou les vacances en famille. Avec une vue imprenable sur Buck Island National Seashore, l'Eden by the Sea est situé sur St. L'East End exclusif de Croix, pratique pour Christiansted, la maison de Fort Christianvaern, la belle promenade, beaucoup de boutiques et de nombreux restaurants raffinés. Nous avons pris en compte et répondu à tous vos besoins afin que vous passiez des vacances amusantes et relaxantes. Quelques-unes de nos commodités incluent une cuisine entièrement équipée et fonctionnelle, récemment rénovée avec des appareils en acier inoxydable, un réchaud en verre et un lave-vaisselle, une salle à manger avec table et chaises et un salon confortable avec un canapé-lit. Pour votre détente, nous avons des DVD, des livres et des jeux. Bien que nous vous déconseillons de travailler pendant vos vacances ;-) vous trouverez un bureau et une chaise ainsi qu'une connexion wifi gratuite. Les chambres ont des lits confortables oreiller-top, tables de nuit, réveils, commodes et miroirs. Chaque chambre dispose d'une salle de bains privative. Tous les draps sont fournis. Pour tous ces vêtements humides et sablonneux, vous trouverez une laveuse et une sécheuse pleine grandeur. Beaucoup de tuba et de matériel de plage vous mènera à l'océan. Nous sommes prêts à être vos hôtes, alors apportez votre brosse à dents! Great trip! We found the condo to be very well stocked with the basics (and more), which was really great. The location is good, the area is fairly quiet. The pool is large and nice. The grill and WiFi left a bit to be desired but WiFi is supposedly being upgraded soon. The condo is clean and neat, and a good size for a group of 3 or 4. Communication from the owner was good before and during our trip. Thank you for your comments, Gordy. The WiFi is definitely being upgraded. Broadband VI is already hard at work to connect the new Fiber Optic. We're glad you were able to realize the issue with the grill was the empty propane tank, which was an easy fix by connecting the new propane tank, which we always keep on hand. Best place to stay on St Croix! This was a great place to stay! Clean, comfortable and well furnished. Room to relax. In fact, this is my third visit, so I really recommend it! And I love St Croix. No place on this island was too far to drive from here. We visited several excellent beaches for snorkeling. Also the Sandy Point Beach is relaxing and beautiful for swimming. Eden by the Sea had all the cooking and serving utensils we needed. We enjoyed having breakfast while gazing at the Caribean sea and Buck Island from the gallery (balcony), Then out and about for the day, then back to relax in the on site swimming pool, which is gorgeous and yet we usually had it all to ourselves. Christenstad is close and easy to get to. It was easy to work with Kevin and Julie. I especially like their binder of reviews and information they have in the condo--they were accurate about all grocery shopping and had great recommendations for restaurants (not a bad one in the book!) And it was fun to wind down for a good night's sleep by watching a DVD from their collection of beach movies. We stayed at Eden By The Sea for 6 nights in December 2018. The unit is clean, very comfortable, and has a nice view of the Caribbean. I have never stayed at a property that was so well provisioned by the owners - everything from beach chairs, beach towels, coolers, etc. The kitchen also had everything you needed like paper towels, tin foil, trash bags, etc. It was nice to only have to get food and drinks, not having to worry about all those other little things. 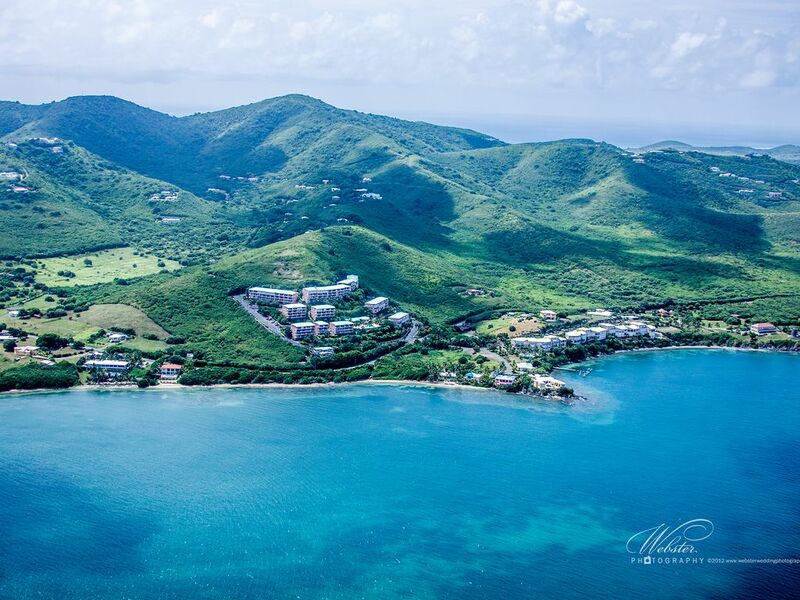 We’re glad we could play a part in your enjoyment of St. Croix. Come visit again, soon! We really appreciated the beach chairs, snorkel equipment and condiments provided. The unit was just right for us. We loved the balconies and spent a lot of time on them looking out at Buck Island and the other Virgin Islands in the distance. We're glad you found what you needed. It's great you got a good view of St. Thomas, St. John, and Tortola--it's awesome isn't it? We look forward to being your hosts again, soon! Our recent trip to Eden by the Sea made for the most memorable family vacation yet! The condo was everything it claims to be and so much more. Our every need was considered, and even in the heat of summer we stayed cool and comfortable. Great ocean views from the balcony, we enjoyed relaxing here at night and even got a glimpse of the other U.S.V.I's on a clear night off in the distance. The pool was quiet and relaxing, and we felt safe. Some of the condo decor was made by local artists. We were inspired to check out downtown Christiansted and find some hidden gems to take home as souvenirs! As a recently certified Open Water Diver I highly recommend checking out the Sweet Bottom Dive Center off of Cane Bay. The water was crystal clear, beautiful views, amazingly kind and patient staff, and plenty of aquatic life. If you're not up for a dive, snorkeling all around the island is top notch, and equipment is provided at Eden by the Sea so you don't have to rent or fill up your suitcase! If you're planning a visit to St. Croix look no further for accommodation, Eden by the Sea is the best there is. We will definitely be back! Owner was very pleasant and Condo was beautiful and clean. Amazing views!! Endroit exclusif et calme à East End, à quelques minutes de Christiansted, la maison de Fort Christianvaern et la magnifique promenade du port, où vous trouverez de merveilleux restaurants et de nombreuses boutiques!